The second loop would come up in the context of life overall. There is so much about living in this world that doesn’t work for me. So much that I see that doesn’t work for others, the animals, the people, the young people in particular. I absolutely and totally don’t like that things are the way they are, on all these levels. Then I hear, over and over from everywhere, the injunction to accept what is, that my suffering would disappear if I did. Once again, something didn’t settle. I kept hearing this injunction in a way that left me convinced that I was expected to ignore and deny all the ways that life didn’t work. This comes so close to my discomfort about “positive thinking” that I almost had an aversion to the idea I myself was advocating for! Why was I advocating for accepting what is? Purely and simply because anything else leaves us in a fight relationship with life. I knew, even with all my discomfort about the “happy face” I was associating with acceptance as I understood it, that there is deep wisdom to be found on this path. I just couldn’t, myself, find it. Even this wasn’t entirely true. There were moments of grace, many of them, in which I felt a soft sense of continuity with all of life, where all the pain and anguish in the world was, simply and fully, part of life. In those moments, there was truly nothing to fight against, even when I didn’t enjoy. I knew bliss to be the experience of having no resistance to the flow of life through me, whatever form it takes. I have known, for years, that I can be in pain and still be alive and in that state of bliss. In this moment, writing about this, having already crossed over into a different understanding, it’s hard to reconstruct what the challenge was all these years. I am looking at my own description, just above these words, of that bliss, and know, now, that this is the same as that impossible-to-grasp sense of acceptance. Perhaps what’s new is connecting all the dots, and having a path to follow to help me get there. Here’s what happened that opened me to a new understanding. Someone in my life did something that created a very, very difficult situation for me. My own deep commitment is to engage in dialogue with people when they do things that I don’t like, especially if it has such a strong effect on me, and all the more so if it’s someone I generally love and trust. My life circumstances don’t line up with my deep commitment. As I eventually said to this person, between living with a beloved sister actively dealing with cancer for years, holding core responsibility for the functioning of the organization I co-created, and the amount of engagement with the world I have, I am perpetually at or beyond capacity. In this context, at this time, adding a complex dialogue was going to be too high a cost for me. At the same time, the consequences of this person’s actions were too big for me to do nothing. I didn’t have the resources to engage in the dialogue in the way I would want, nor did I have any faith that the dialogue could possibly yield a change in the other person’s choices. I experienced myself as having no choice, one of my least favorite experiences. I was feeling an intense amount of helplessness, from which arose resentment. What was I to do? As luck would have it, within hours of the conversation where I learned about this situation, I was on a phone call with a group of dear friends and colleagues who get together on a monthly basis with the sacred intention of supporting each other to live in line with the commitments. This is one solid place where I get that kind of support for myself, and I jumped on the opportunity. I asked the group to offer me any commitment that could help me navigate this puzzle. Semi-jokingly, I also insisted that it not be “Accepting What Is.” Except, really, what else was there? It was so clearly the one to grapple with. So I stayed with it, complaining and laughing, until the clarity finally hit me, all by itself, in the context of the loving support of my friends. The clarity was about realizing, finally, that accepting what is really and truly doesn’t mean that I have to like it, or to pretend that I am OK with something that isn’t. It only means that I stop long enough to realize that whether or not I like this situation, it is happening, and there is no point in doing anything other than sit still and recognize that it’s happening. No amount of resentment or unconscious magical thinking makes it not be there when it’s there. The alternative became crystal clear: mourning. 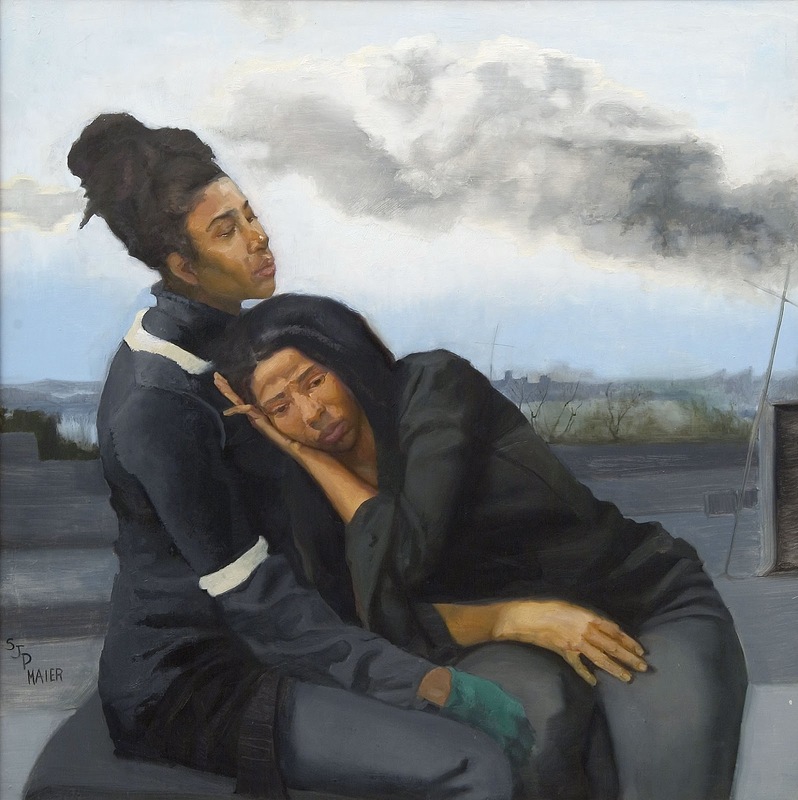 Mourning is the soft, loving cousin of all the feelings that keep our hearts closed. Mourning dissolves the resistance to life, the resentment, the numbness of resignation. For me, mourning comes with tears and brings me back to life. Mourning allows me to feel just how excruciating something is without having to run away from it. Mourning strengthens me, so I don’t have to put up a shield to protect or fight. Mourning keeps me human, open, supple. Sometimes, as in this case, that softening also makes room for creativity and new solutions. It looks like this will happen in this situation, though I still don’t know, and I am clear that it doesn’t matter! Whether or not the situation changes, I am now in acceptance, despite and with the pain of it all. It’s so unbelievably sad that these are the circumstances that this person and I find ourselves in. Will it take away the love and trust between us? Absolutely not. Will we both be happy with the outcome? Not clear. What is clear is that in this situation I found an entirely new approach that is neither full dialogue nor resignation nor any attempt to force. (I am sad this is all so mysterious, and I want to maintain my commitment that I can be fully transparent about my own life, and not about that of other people). There are situations in which no creativity can change the reality that is painful. The quintessential one is death, and it’s not the only one. I want to maintain my own commitment to doing the mourning that brings me to soften into life regardless. I want to be soft and open, to accept in this new, fresh way, even when there is really and truly nothing I can do and when there is true suffering. I am convinced that my capacity to stay on the path of nonviolence will only increase as a result. 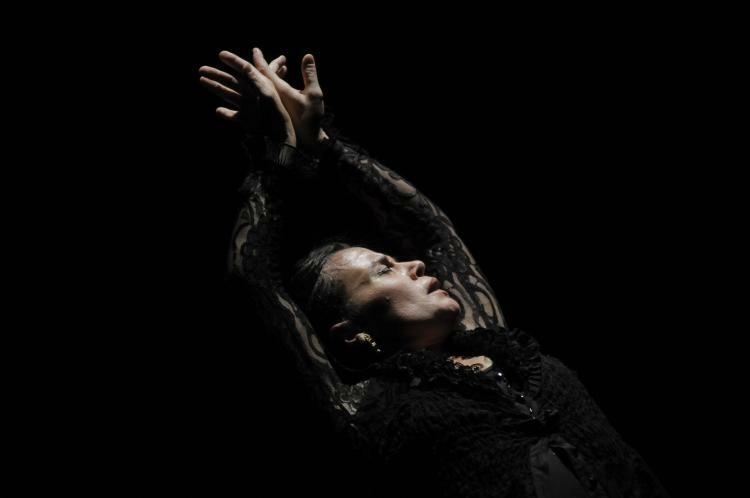 Dance images: Flamenco dancer and teacher Soledad Barrios, by Zarmik Moqdateri and Andres Delia. Click here to read the Questions about this post, and to join us to discuss them on a conference call: Tuesday April 16, 5:30-7 pm Pacific time. This is a new way that you can connect with me and others who read this blog. We are asking for $30 to join the call, on a gift economy basis: so pay more or less (or nothing) as you are able and willing. This entry was posted in Uncategorized and tagged Uncategorized on April 11 / 2013 by Miki. Love the opening and softening, and the coming back into the flow of life. Yay to you Jean for deepening my learning from Miki's posts and for offering yourself fully to the world. Yay! I am really touched and moved to read this blog entry. Even when no creativity can change the reality that is happening, it is still possible to soften into life. I’ve been confused about NVC mourning, pausing to recall and feel loss and sadness? Why would I want to do that? Reading this blog I not only get what NVC mourning is about, I see that I am already practicing it without having the label. Wow! I am feeling so blissful after reading this blog! It met my need for guidance and support so much!!! I feel so grateful… Thank you!